Join the new and exciting event at The Lanes Fort Meade! “Pigskin Pick’em” contest to enter to win some great weekly prizes. The weekly winners will be entered to win a final grand prize! 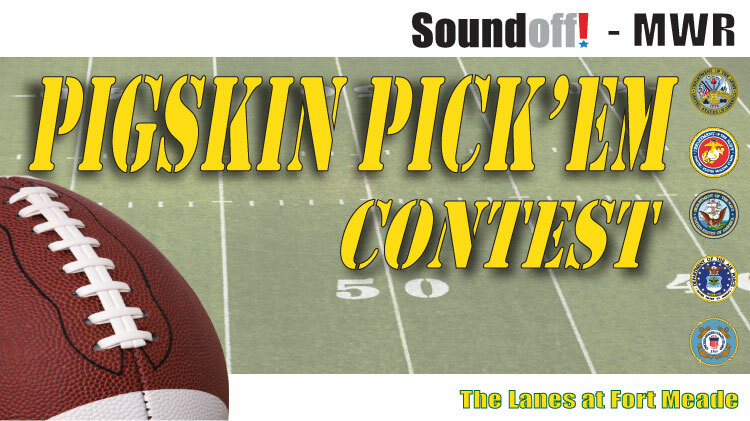 The Pigskin Pick’em Contest is offered free of charge! Contest is open to the entire Fort Meade Community; all ranks and services, Retirees, DoD civilians, and contractors. Enjoy food & beverage specials! Read Fort Meade’s “The Soundoff!” for details!